Members of the INpact Indiana's Future Band perform during the DCI World Championship Finals, August 11. 2018 marked the seventh year that the INpact Indiana’s Future Band took the field to kick off the DCI World Championship Finals in Indianapolis. The annual ensemble made up some 500 students aims to motivate the participating middle schoolers to consider music and the arts as they make important skill-development decisions for their high school years and beyond. 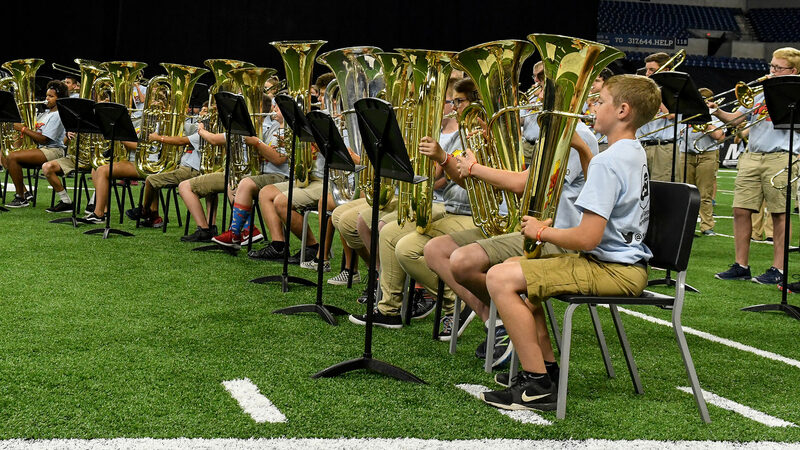 Prior to taking the stage at Lucas Oil Stadium on Saturday, August 11, students took part in two days of rehearsals, educational sessions, and other performances as part of their experience. The INpact Band is a part of Drum Corps International’s program known as BANDtastic! which is currently expanding to new national markets to create similar opportunities.